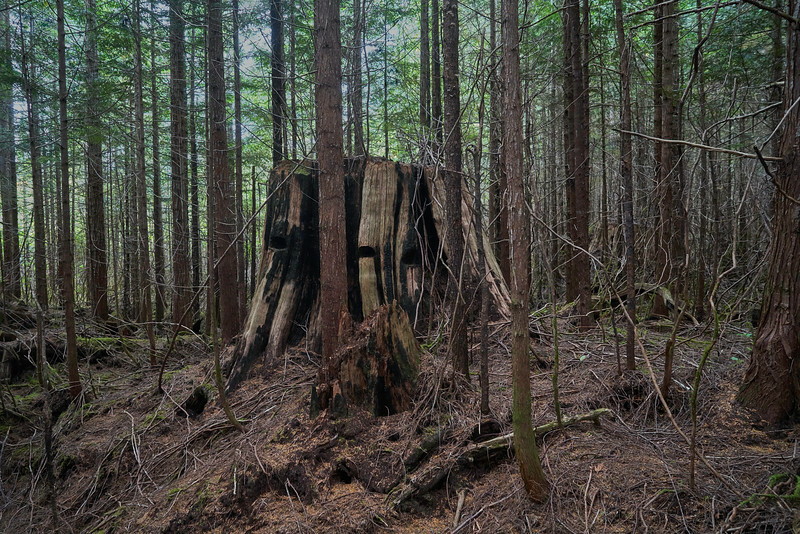 This majestic stump bears witness to the destruction of the primal forest that once stood here. This tree was over a thousand years old. You can see the notches into which planks were wedged that supported the loggers with their double handed crosscut saws. It also displays the burn marks from fires.